Does Honey Work Better than Cough Medicine? I love honey! I love honey for so many different reasons! Fun fact, honey can lighten the color of your hair. It has small traces of hydrogen peroxide that gradually lightens the color of your hair. Honey mixed with yogurt on your face is a great mask. It has a great calming effect. Stated from Real Food for Life, on the benefits of honey, by Diana Herrington, the article talks about how honey does amazing things for the body. It contains many antioxidants and helps prevent cancer. 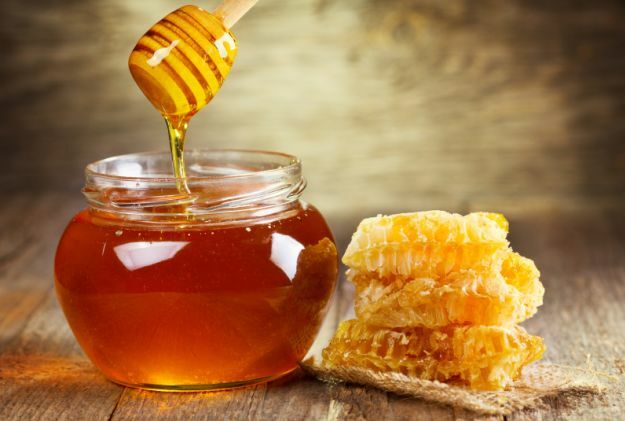 It can regulate the blood sugar, and overall just strengthen the body’s immune system.Honey is also an amazing anti-bacterial and helps with sore throats. It has really helped me during Thanksgiving break when I had a bacterial throat infection. I literally finished 2 bottles of honey in 1 week. There was a very interesting article from Penn State College of Medicine on how honey could be better than normal childhood cough medicines. Apparently in recent studies, cough medicines were asked about how safe they were. So people began to look for other ways to lessen their child’s cough. The study proposed that buckwheat honey could provide relief to coughs better than a child having nothing or even anti-cough medicines. The honey was shown to reduce the infection, and helped with the cough. A big factor to honey is that it is safe for children over 12 months. The thing that I was shocked by is that, diphenhydramine, (component in cough medicines) performed no better than the placebo! Why do we take these cold medicines in the first place? So to explain this study it was on a total of 105 children ranging from the ages of 2-18. The first night, the children didn’t have any treatment done. There were 5 questions asked about the sleep and cough of the children. The parents answered these questions. The second night, kids ether got honey, honey flavored DM (diphenhydramine), or no treatment at all. The study was a blind placebo. The medical staff didn’t know who was getting what. The family who got the honey or DM were blinded. Parents who got nothing knew they got nothing because in their envelope was an empty syringe. So overall the families said that the honey was better than the DM or nothing at all. If I were to replicate this study, which I would want to do, I would have just honey versus the cough medicine. I would also get more of an input on how the kids felt because they are the ones we are observing. Not the parents view on it. This then would lead me to my next point, I think I would do this one age group. This article was overall very interesting. Now I know to consume honey a lot more. I have been doing it anyway, but now I know it is actually beneficial for coughs too! (2007) Honey Proves a better option for childhood cough than OTC’s. Penn State News. This entry was posted in Uncategorized on December 1, 2016 by Reetu Shah.